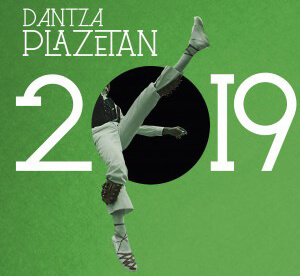 Dantza Plazetan, Bilbao’s year-long festival dedicated to traditional dance and culture, commences its 2019 edition on 26 January. With the aim of promoting and sustaining Basque traditions and customs, each month Dantza Plazetan features different events including parades (pasacalles), displays of local dances (alardes de danza) and celebrations of religious festivals that might include a pilgrimage to an important sites (romerías in Spanish and erromeria in Basque) – all the events on the programme are held in the streets and squares of Bilbao. Throughout the year, this festival celebrates Basque traditional culture. Taking part in the festival are seven city dance groups, and it’s organised together with Bizkaiko Dantzarien Biltzarra, a dance school in Bilbao. The opening event on 26 January starts at 8pm in Plaza Santiago; it’s an erromeria performed by the Salbatzaile Dantza Taldea group, which last year celebrated its 40th anniversary.